Mahendra Singh Dhoni aka MSD, a name that resonates with crores of Indians and cricket fans across the world. The journey from a railway ticket collector to a household name in the world's 2nd most populated country is very inspiring. He has been the best wicket-keeper and captain that India has ever produced. However, he has lost his touch with the bat in recent times and this has been causing concerns to the Indian team. After his retirement from Test cricket, Wriddhiman Saha was an automatic choice to replace him in the whites. However, despite Dhoni's shortcomings in the shorter formats, India is struggling to replace the former captain of the Indian Cricket team in LOIs. Though Dinesh Karthik was used in the team, it was mostly as a batsman and not as a wicket-keeper. Dinesh managed to get selected ahead of many middle-order batsmen in the team but Dhoni was never dropped to make way for the Tamil Nadu player. This has created a lot of imbalance in the team and India will hope that it does not come back to haunt them. Recently Rishabh Pant was drafted into the squad and there are theories heard that he will be auditioning for the no.4 position in the team. However, the team management must be wise enough to know that Dhoni's successor should be a good wicket keeper batsman and not only a good batsman who can keep wickets. It will be a mistake to let Rishabh Pant keep wickets only after Dhoni's retirement, which will be difficult considering that he would not have had prior experience with that. It is no surprise that Dhoni is now unable to finish matches like he used to do before. Hence, the team management has to re-strategize and change Dhoni's role in the team. An option worth considering would be to allow Dhoni to bat just below Kohli and groom Hardik Pandya for the role of a finisher. India's middle-order woes are being noticed by other teams which could hurt us in the upcoming games. India has never played without Dhoni in the last decade and the team management should try out a few games keeping MS out of the squad. It can offer a better perspective on the players who perform around him and could also open up a whole new set of options which the selectors could experiment on. 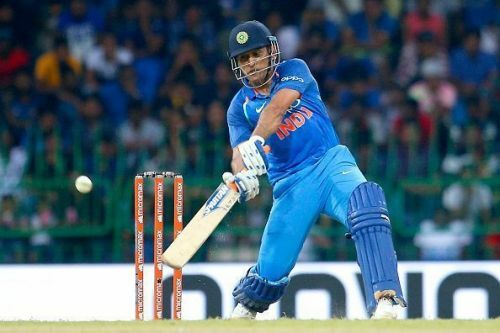 Despite many players going in and out of the squad, Dhoni has managed to keep his position in the team considering his experience and contribution to India. It is time that the selectors start looking beyond these factors and give more opportunities to youngsters behind the stumps and prepare for life without Dhoni.